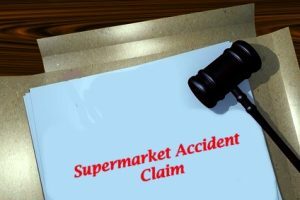 Have you been injured in a supermarket because of an accident that was not your fault? Then you could be entitled to claim compensation for your injuries. Whether you slipped on a wet floor in a supermarket, suffered food poisoning because of substandard food bought, were injured in a supermarket trolley accident, were injured in an accident at a supermarket car park, or suffered any other sort of supermarket injury because of an accident that was not your fault, you could be entitled to compensation. If you are wondering what to do if you are injured in a store, trust Advice.co.uk to provide you with the right personal injury claims solicitor to handle your supermarket accident claim. We are a well respected personal injury claims advisory service, who can help you to claim compensation for your injuries. If you got hurt in a retail store in the UK, call us today for your free personal injury claims consultation. One of our informed advisors will be able to let you know if you have legitimate grounds to claim compensation for an accident in a supermarket, and if you do, we will provide you with the right personal injury solicitor to handle your claim. We will also let you know how much money you could be owed for your injuries. Call us today on 0161 696 9685 to begin your supermarket accident claim today. What Is An Accident In A Supermarket? Unfortunately, standards of health and safety in supermarkets have dropped in recent years. One reason for this could be that there are usually less staff on the floor, with many staff being employed on zero hours contracts, or being replaced with automated checkouts. Nevertheless, if you were injured in a supermarket because of an accident that was caused by negligence on the part of the business owners, shop management, or an individual member of staff, then you could be entitled to claim compensation for your injuries. Whether you were a customer injured in a store, an employee or another person with a reason to use the business premises, such as an independent contractor working in the building, then you could be entitled to make a supermarket compensation claim for your injuries. In this guide, we will look at common supermarket accidents and will advise you how to make a claim against Tesco, Sainsbury’s, Morrison’s, Waitrose and other supermarket brands. We will advise you on how much compensation you could claim for slipping on a wet floor in a supermarket, or other common accidents in a supermarket. We will also explain the benefits of making a no win no fee claim to you. Remember if you were injured in an accident in a public place such as a supermarket, you could be owed compensation. Call Advice.co.uk today, to see how much compensation you could be entitled to claim. In order to make a personal injury claim, an accident at a supermarket has to be caused by negligence on the part of the business and result in someone becoming injured or ill.
We have included this supermarket personal injury claims calculator, to help you estimate how much compensation you can claim for your injuries. Below are some common types of accidents in a supermarket so you can estimate how much compensation you can get for slipping on a wet floor, a supermarket bike accident, a supermarket car accident or many other types of common injuries. Alternatively, for an estimation that is personalised to you, call Advice.co.uk and one of our informed advisors will be able to let you know how much compensation you could be entitled to claim. Brain/Head Injury Very Severe Brain Damage £247,280 - £354,260 Little or no response to environment, little or no language function and double incontinent. Brain/Head Injury Moderate Severe Brain Damage £192,090 - £247,280 Need of constant professional care, disabilities may be physical, for example, limb paralysis, or cognitive. Brain/Head Injury Moderate Brain Damage £37,760 - £192,090 Brackets include moderate to severe intellectual deficit with no prospect of employment. Neck Injury Minor to Severe £2,150 - £130,160 in the region of. soft tissue injuries, increased vulnerability in the neck, permanent or recurring pain, stiffness or discomfort, fractures, dislocations to incomplete paraplegia. Back Injury Minor to Severe £Up to £2,150 - £141,150 Brackets include. strains, sprains, soft tissue injuries, fractures of the lumbar vertebrae, substantial risk of osteoarthritis, disc lesion of fractures, orthopaedic injury to the back to damage to the spinal cord. Shoulder Injury Minor to Severe £Up to £2,150 - £42,110 Resulting in soft tissue injury, frozen shoulder, dislocation of shoulder, permanent symptoms even after surgery to Serious brachial plexus injuries. Wrist Injury Minor to Severe £4,160 - £52,490 Starts off with soft tissue injury, minor fractures, partial disability, permanent disability to loss of function in the wrist. Hand Injury Minor to Serious £800 - £74,150 Soft tissue, deep lacerations, surgery needed, permanent damage, disfigurement, amputation of finger(s) loss of grip to surgically amputated hand. Hip/Pelvis Injury Minor to Serious £3,460 to £ 114,810 Injuries such as soft tissue injuries, hip replacement, fracture to the pelvis, fracture dislocation of the pelvis, traumatic myositis ossificans to extensive fractures of the pelvis resulting in spondylolisthesis of a low back joint pelvis. Leg Injury Less serious to Severe Up to 10,380 - £119,210 Starting with simple fractures to tibia and fibula, fractures with incomplete recovery, multiple fractures, severe crushing, serious compound fracture, serious deformity to extensive degloving of the leg. Knee Injury Moderate to Severe Up to £12,050 - £84,360 This category includes twisting or bruising injuries, dislocation, torn cartilage or meniscus, instability or deformity of the knee, leg fracture extending into the knee to, gross ligamentous damage. Ankle Injury Moderate to Severe Up to £12,050 to £43,900 Undisplaced fractures, sprains, twist, ligamentous tears to where pins and plates have been inserted, severely limited ability to walk. Foot Injury Modest to Severe Up to £12,050 to £61,140 Simple metatarsal fractures, ligament damage, permanent deformity, risk of fusion surgery to severe degloving, extensive surgery, heel fusion. If you are successful in claiming compensation for an accident in a supermarket, your compensation package will be made up of general damages and special damages. We will now look at what these mean in more detail, below. General damages are the main part and usually the largest part of your personal injury claim. They serve to compensate the victim for the pain, suffering and loss of amenity they experienced as a result of their accident. Special damages are awarded to compensate Claimants for any financial losses they experience because of their accident. Here are some examples of what you could claim. Medical expenses: You can claim back the cost of any medicine or medical treatment you needed because of your injuries. Care expenses: You can claim compensation to compensate for a friend or family member who looked after you whilst you are recovering from your injuries. If you have been seriously injured and now need permanent at-home care, you can also claim funds to pay for this. Mobility equipment or home adaptation expenses: If you became permanently disabled as a result of your injuries, you could be entitled to claim compensation to pay for any mobility aids or home adaptations that you now require. Travel expenses: You can claim back the cost of travelling to the hospital initially, travel to ongoing doctors or hospital appointments or the cost of seeking alternative transport if your injuries meant that you were temporarily unable to drive. Loss of income: Did you have to stay off work for a period of time because of your injuries? Then you could be entitled to claim compensation to make up for any salary payments or in work benefit payments that you missed. If you believe you are entitled to make a supermarket accident compensation claim, call us today to talk about your options. We will be able to advise you on what expenses you should be able to claim back. Clients often ask us what types of injuries caused by accidents in a supermarket, you can claim compensation for. As a general rule, if your injuries were serious enough to require you to take three or more days off work, you could be entitled to make a supermarket accident compensation claim. We will now look at some accidents in a supermarket that clients frequently claim compensation for. If you slipped at a supermarket or suffered a fall injury at a supermarket because of an accident that was not your fault, you could be entitled to claim compensation for your injuries. Unfortunately, slip, trip and fall accidents are quite common injuries in supermarkets. This is because a simple obstruction, such as a squashed grape on the floor, broken floorboard, or spilt drinks that have not been cleaned up, can result in a slip, trip or fall accident. The sort of injuries caused by slip, trip or fall accidents can be minor injuries that heal quickly, or these sorts of accidents can lead to more serious accidents such as tooth loss, or broken bones. If you want to know how much compensation you can get for a slip, trip or fall accident at a supermarket, call us today to enquire about making a slipped at a supermarket accident claim. One of the most common accidents that can happen at a supermarket is when a customer has slipped on a wet floor. Wet floors at supermarkets can be caused by customers walking snow in on their shoes in bad weather, which then melts flooding the floor, or produce such as a bottle of milk or jar of pickles being spilled onto the floor, creating a slip hazard. According to regulations, wet floors are supposed to be cleaned up immediately, or if the hazard cannot be attended to, a wet floor has to be signposted until it has been mopped and dried. Many clients ask us “How much compensation do you get for slipping on a wet floor?” This really depends on how serious your accident was, and what the long term consequences are likely to be. If you slipped on a wet floor at a supermarket, which resulted in you becoming injured, call us today to enquire about making a supermarket personal injury claim. Unfortunately, there could be some very serious accidents involving shelves in stores that were not put up properly, or were over-stacked. For example, there was an incident at a B&Q in the Republic of Ireland recently, where a customer was killed and a member of staff suffered a near miss, when a piece of fencing fell from a high shelf. Because supermarket shelving accidents can cause serious crushing injuries and even death, stores should be very careful to ensure that shelves are put up and stacked according to proper health and safety regulations, to help prevent accidents such as these. If you have been injured because of a supermarket shelving accident, you could be entitled to claim compensation for your injuries. Call us today to see if you are entitled to claim. Unfortunately, there could be supermarket trolley accidents which could result in customers becoming injured. For example, there could be supermarket trolley accidents where the customer has fallen on a wet floor, and the trolley has tipped over, crushing them underneath. There could be other incidents where a trolley has rolled down a slope or hill, hitting a customer. If you have been injured because of a supermarket trolley accident that was not your fault, call Advice.co.uk today to see if you are entitled to claim. Unfortunately, accidents in a supermarket can be quite common. Sometimes they could be caused by negligence on the part of other drivers, or negligent upkeep of the car park by the supermarket themselves. Whether you were injured because of a supermarket car accident, supermarket bike accident, or any other sort of accident in a supermarket car park, if the accident was caused by negligence on the part of someone else, you could be entitled to claim compensation. Wondering how to make a claim against Tesco, Sainsbury’s, Waitrose, Morrison’s, Marks & Spencer or any other popular supermarket can be a daunting experience. Many people wonder what to do if you are injured in a store, or what to do if you slip and fall in a store. Luckily your rights as a consumer or employee are protected under the Occupiers Liability Act of 1957, which states that occupiers have a duty of care towards people who use their premises to shop or work. If you have been injured because of negligence on the part of a supermarket or another party, then they could have to pay you compensation. Call Advice.co.uk today, to see if you are entitled to claim. If you have been injured in a supermarket accident that was not your fault, a personal injury claims time limit will apply. This means that you will only have three years since the date of your accident, or the time that you realised that you had been injured, to make your claim. We recommend that you call Advice.co.uk to begin your claim as soon as possible, to avoid falling outside of the personal injury claims time limit. Injury to a person below the age of 18 Up till the age of 18, a guardian adult can claim. Three years following the child turning 18 they have 3 years in order to make a claim. Standard claim 3 years from the accident or the date of knowledge of the injury or illness suffered. If you have been injured because of an accident in a supermarket that was not your fault, you could be entitled to claim compensation for your injuries. If you got hurt in a retail store in the UK, or a supermarket, call us today to see if you are entitled to claim compensation. If you have legitimate grounds for compensation, we will let you know how much you can claim and will provide you with an excellent personal injury solicitor who can start working on your claim right away. If you have been injured because of an accident in a supermarket you could be entitled to claim compensation for your injuries. You can pay an upfront fee to make your supermarket accident claim, however, this is a gamble with your finances, because even if you have a strong case, there is always a small chance that you won’t be able to claim compensation. This is why we recommend that all of our clients make a no win no fee claim for compensation. No win no fee means that you will only have to pay your fee if you win your claim, so there is no financial risk involved and less stress. What’s more, because your fee is deducted from your final compensation package, you will not have to pay an upfront fee. This means that making a no win no fee claim is the more affordable option for many. To learn more about making a no win no fee claim for an accident in a supermarket call Advice.co.uk for your supermarket accident compensation claims consultation today. 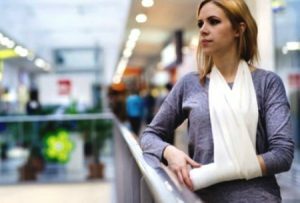 If you have been injured in a public place accident, such as an accident in a supermarket, you could be entitled to claim compensation for your injuries. Call Advice.co.uk, for your free personal injury claims consultation and if you are entitled to claim, we will provide you with an excellent personal injury lawyer to handle your claim. The personal injury claims solicitors that we work with have up to 3 decades of experience handling claims for compensation for injuries in shops, and will always fight to get you the maximum amount of compensation that you could be awarded. If you believe you are entitled to claim compensation for an accident in a supermarket call us for free today. We’re looking forward to receiving your call. Get all of your evidence and make a note of what happened to you. Contact one of our experts. Start you claim with a member of our panel of solicitors. Information about the causes of falls and what to do if you have a fall.